Mijas/Nuremberg - 1. FC Nürnberg have been dealt a blow ahead of the Bundesliga restart by the news that midfielder could be out for around six weeks with a knee injury. Hasebe fell awkwardly on his right knee in der Club's 5-1 win over FC Steaua Bucuresti on Tuesday evening, with an MRI scan the following day confirming a tear to his outer medial ligament. The 29-year-old returned to Japan on Thursday and will undergo an operation on his injured knee by the Japan national team doctor on Friday. Hasebe's injury comes at a bad time for the Franconians, who go into the Rückrunde still looking for their first win of the season following 11 draws and six defeats in the first half of the campaign. Gertjan Verbeek's side resume their bid to beat relegation with a home game against 1899 Hoffenheim on 25 January, before travelling to Hertha Berlin and then entertaining the league leaders FC Bayern München on Matchday 20. 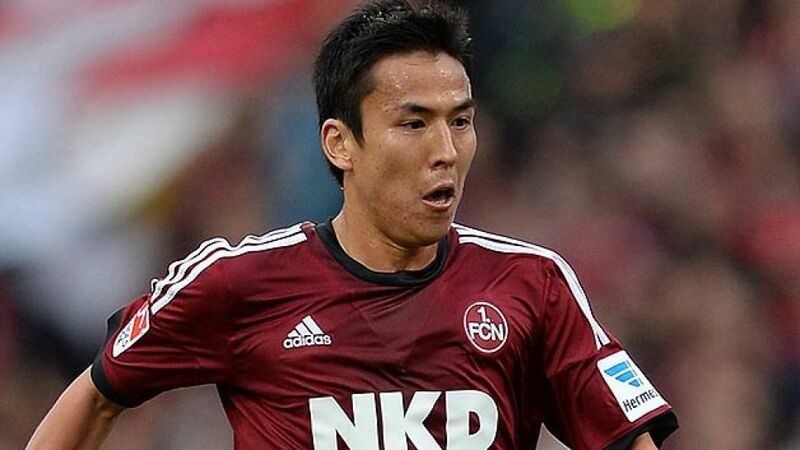 Hasebe, captain of the Japan national team that has qualified for this summer's FIFA World Cup in Brazil, joined Nürnberg at the beginning of the season on a three-year deal from VfL Wolfsburg.